When you choose to invest in an MBA, you are making an investment in your own career. The return on that investment comes from many several sources: the network that you build, the content of the courses, the self-discipline that you develop by dedicating yourself to your studies, and the access to the professor’s experiences. “It is necessary for you to learn from others’ mistakes. You will not live long enough to make them all yourself.” – Hyman Rickover. Our teachers have enough practical business experience to have great success… and great mistakes. The MBA is your chance to accelerate your career progress by learning from the successes and failures of the professors and your classmates. 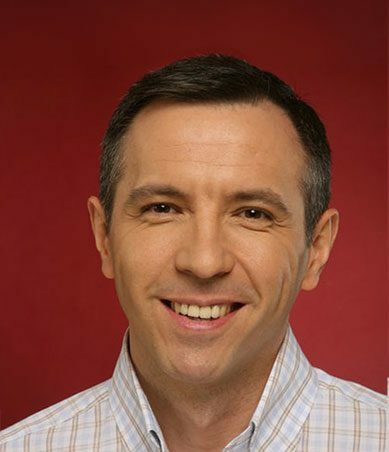 Radu Atanasiu is the MSM Romania Adjunct Lecturer of Critical Thinking. He teaches for the Executive MBA, the Fast Track Management Program, and the Entrepreneurship Academy. Radu has also taught in Maastricht for the MBA and MM programs of MSM. Radu has taught the first massive online open course made in Eastern Europe, Critical Thinking – Reason and Fair Play in Communication (2014-2015), and had an international audience of tens of thousands of students. His new online course, Critical Thinking for Business, produced in cooperation with MSM, is hosted on the German platform iversity and can be accessed here. 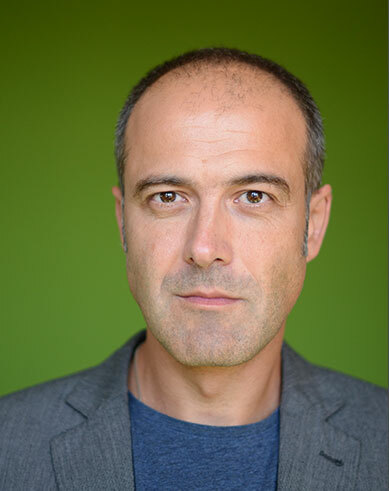 Radu Atanasiu has had several career paths and brought to fruition projects in diverse industries. He currently manages his real estate businesses and is actively involved as angel investor in some promising start-ups like 2Performant, SmartDreamers, and Evertoys, while also holding Critical Thinking workshops for companies. Adrian is also a constant voice in the Romanian business press, with more than 50 articles published. You can also read him at http://www.adrianstanciu.ro. Professor of Marketing, Founder and Chairman of The Garrison Group, Paul Garrison has worked in marketing for over 25 years. He started out at Procter & Gamble and then went on to serve two stints at Coca-Cola – first in the US, and then later as marketing director for Central and Eastern Europe, and finally as managing director in Hungary. In between he ran his own advertising agency for 10 years in the US, and most recently founded the Garrison Group strategic consultancy based in Budapest. The Garrison Group is highly involved in leading edge marketing throughout the region with clients such as IKEA, Sony PlayStation, Telenor, Pfizer, Raiffeisen Bank, Bayer, and, of course, Coca-Cola. Paul is Professor of Marketing and the former Dean at the Central European University Business School, and is a frequent guest lecturer at several leading universities both in Europe and the US Exponential Marketing Book. The state of marketing has been in need of an upgrade for years and nowhere is that upgrade more needed, and more appropriate, than in the rapidly developing economies of Central and Eastern Europe. Veteran marketing professional Paul Garrison takes on the task by challenging readers to think less about catching up with the west and more about leaping ahead. In an environment of continuous change, Garrison builds his Exponential Marketing case on a solid foundation of deeper customer insights, more meaningful brand benefits and clear business objectives – and then boldly takes us higher than we may have previously thought possible. Rather than accepting business results based on past performance, Garrison challenges us from the very beginning to think in terms of a destination model, about what success could be, and then looks backward to remove any potential barriers standing in our way, or to seize the most important opportunities to get us there faster. Although Garrison offers many new ideas and concepts to capture top-line business growth, he does not go out of his way to destroy many of the so called ‘tried and true’ marketing approaches of the past. Instead, he recognizes what has worked well from some of these processes and techniques and then evolves them upward to an entirely different level of thinking more appropriate to today’s marketplace, and consequently, better prepare you to capture future growth. Laura Ipacs, MBA, FCCA has qualified as a certified accountant (ACCA) in 1994 and is now a Fellow of the Association. She started her career with Coopers & Lybrand, in Corporate Finance Services, spending three years there. She then moved on to finance director positions with multinational enterprises like DuPont and Hasbro in Hungary, also spending six years in management. She has been with the CEU Business School for six years for post-and undergraduate programmes and executive education. 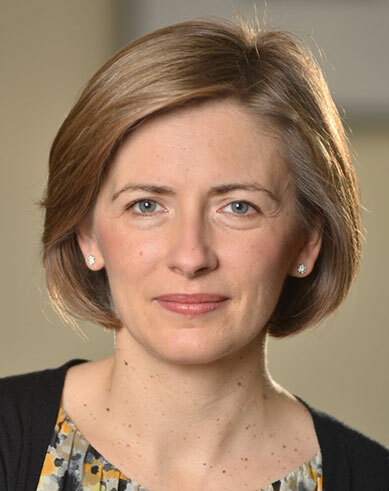 Also, she has lectured and provided consultancy to practicing finance professionals in the Central European region. She specializes in accounting and finance technical training and consultancy to practitioners, both in industry and public practice, and ACCA (Certified accountancy) exam training, covering a wide range of exams throughout the syllabus. 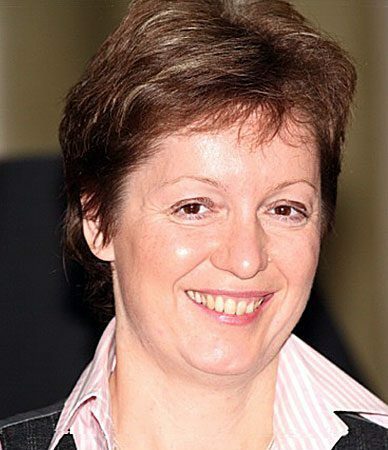 She was a member of the International Accounting Education Standards Board of the International Federation of Accountants, representing the ACCA between 2006 and 2007 and has been representative since 2003 for Central Europe on the International Assembly of the ACCA. Dragoş-Nicolae Pîslaru is economist by training, holding a MSc. In International Relations at LSE and a PhD. in Economics at the National Institute for Economic Research, Romanian Academy of Sciences. During 1999-2007 he pursued an academic career, reaching the Assistant Professor title within the International Business and Economics Chair, Academy of Economic Studies Bucharest (ASE-REI). He was also Associate Researcher with the Romanian Center for Economic Policy (CEROPE) between 2000-2004, Robert Bosch Scholar within the Civic Education Project (2000-2001) and Charles G. Koch Fellow with the Institute for Humane Studies, Virginia, US (2001). 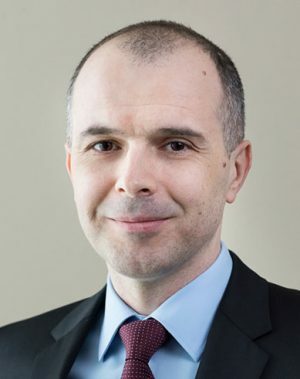 Between 2004-2006 he was founding member and Executive Director of the Group of Applied Economics (GEA), a think-tank focused on structural reforms in Romania and across the EU. 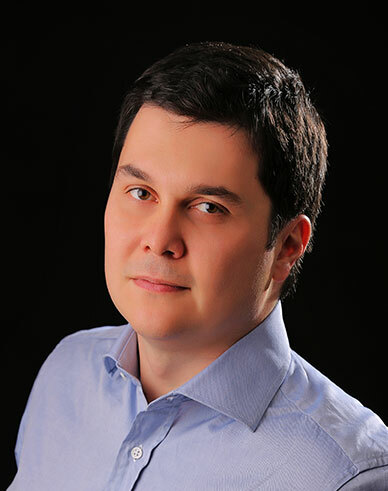 After following and executive education short programme at Harvard Business School (2006), Dragos started as founder and managing partner at Gea Strategy & Consulting S.A., where he has coordinated several key strategic consultancy projects for both the public sector (Romanian Government, World Bank, EC, OECD) and the private sector. In December 2015 he joined the technocrat government led by Dacian Ciolos as State Counsellor on economic affairs, followed by his appointment in April 2016 as Minister of Labour, Family, Social Protection and Elderly. Starting with March 2017, after the merger of Gea Strategy & Consulting with the international consulting firm Civitta, Dragos has returned to the private sector as Partner in charge with entrepreneurship and innovation. Dragos is a keen supporter of the development of an entrepreneurial ecosystem in Romania and in the region, with a soft spot for creative industries and tech-based innovation. In this field he has founded and is still part of several global initiatives and partnerships such as Global Entrepreneurship Network, Creative Business Cup, Get in The Ring or the comercialization accelerator RICAP. 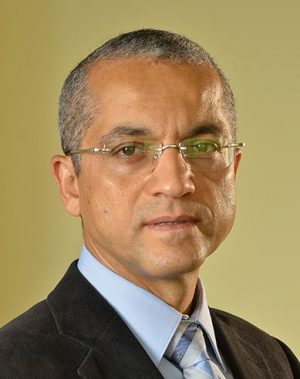 Khaled Wahba is an adjunct Associate Professor at a number of universities, business and technical schools located in various countries such as Canada, the Netherlands, Romania, Peru, Colombia, Suriname, Kuwait and Egypt. With more than 20 years of teaching experience in the academic field, Khaled has dedicated his career as a freelance trainer and instructor with a focus on Data Analysis, Decision Making, Quantitative Research Methods, Digital Transformation, Creative Thinking, Systems Thinking and System Dynamics. Khaled completed his BSc and MSc at Cairo University, Biomedical Engineering, Egypt in 1985 and 1989 respectively. He received his PhD from Aachen University of Technology in Germany, Faculty of Mechanical Engineering. In addition to over 95 academic and business publications, Khaled co-authored a book in 2007 titled “How to Write Your MBA Thesis”. Furthermore, he supervised over 400 theses and dissertations in biomedical engineering, and business. For over 6 years Khaled served as the Director of a regional education and training institution (RITI), in Egypt. Afterwards, Khaled served as the CEO of an IT startup company operating in Egypt and the UAE for 4 years. Awni is Professor of Practice at the Business School, and Director of the John D. Gerhart Center for Philanthropy, Civic Engagement and Responsible Business, The American University in Cairo (AUC). He has been full time faculty since September 2009. He teaches operations management courses at the undergraduate and MBA level. His areas of research are in applications of operations management in Egypt, and for SMEs in particular, operations and supply chain innovations for bottom of the pyramid, upgrading of operations for Egyptian exporters, and suppliers’ selection and evaluation. Recently, Awni has taught operations and supply chain management courses for EMBA and executive education at Egypt, Romania, and Germany. Awni was the Partner-in-charge of supply chain consulting services at KPMG Hazem Hassan in Egypt, where he guided and directed the successful completion of various projects in supply chain diagnostics, process design and performance improvement in operations and business logistics for clients in food, consumer products, industrial, apparel and pharmaceutical industries. Awni has extensive management consulting, software systems development, and operations research experience in the USA focusing on supply chain management and business logistics improvements. Ali Awni holds BS in Computer Science & Statistics from Kuwait University, MS in Systems Science from the University of Ottawa, and a Ph.D. in Operations Research from North Carolina State University. Steven van Groningen is president and CEO of Raiffeisen Bank Romania since 2002 and a former Olympian rower. 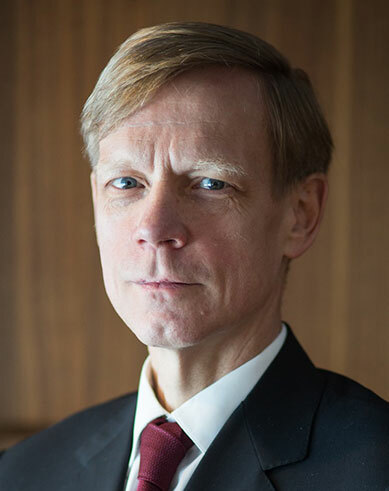 From 1994 to 2001 he has worked for ABN AMRO Bank N.V.
Apart from his banking and sports background, Steven is also the Vice-President of the Romanian Banking Association as well as President for the Foreign Investors Council and Founding Member/Member of the Board at Aspen Institute Romania. In the past he has been part of United Way of Romania as President and Member of the Board for Friends of the National Museum of Art of Romania. 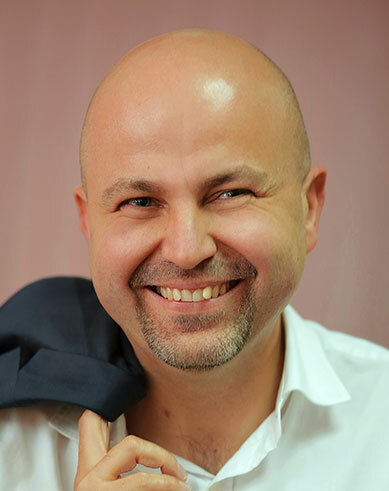 NEGUȚ, SERGIU Associate Dean – Entrepreneurial Growth Sergiu is a consultant in growth-focused business transformation, values based leadership and client centric commercial development. Other areas of expertise include budgeting for success and strategy deployment. He acts as Angel Investor, Board Member or CEO Advisor for a number of local businesses, most notably frufru. Sergiu has extensive experience in general management, across different industries (healthcare, pharmaceuticals, commodities) and business development, including M&A and startups. 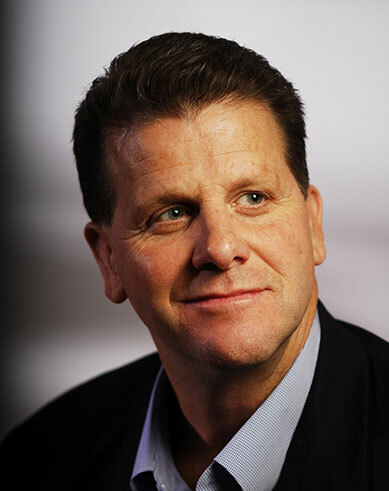 He is an active speaker in leadership HR development and health care conferences. 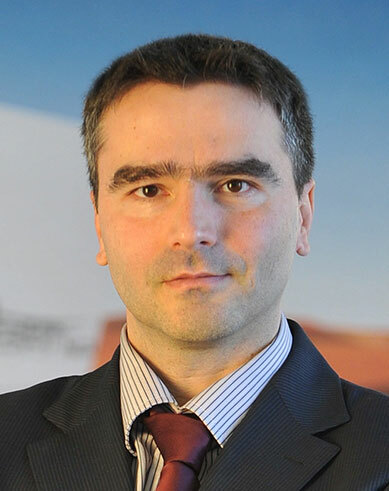 Sergiu proudly holds an MBA from INSEAD, and is the Vice President of the INSEAD Alumni Association Romania. He coaches young high potential managers in their career development. He enjoys speaking to MBA students and alumni from various schools, including IMD and Simon Rochester School of Business. His previous education includes a Computer Science degree from Politehnica University of Bucharest and an International Business degree from ASE. 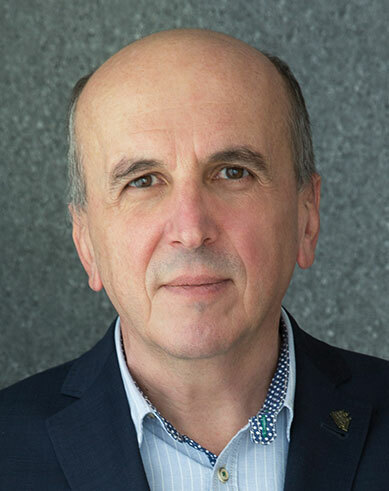 Andreas Antonopoulos holds a Ph.D. in Electrical & Electronics Engineering from University College London, UK, where he has been teaching as an Adjunct Professor since 1998. He also earned an MBA from the Weatherhead School of Management at Case Western Reserve, Cleveland, Ohio, USA, and a D.Eng from the University of Patras, Greece. He has published numerous business and academic papers, and is a frequent speaker at major conferences and industry events. Dr. Antonopoulos has a 22 year career balancing an academic, industry and entrepreneurial background. He was Co-Founder and Managing Partner of Working Knowledge, a leading telecoms advisory firm and has also spent 5 years teaching Telecom Business & Entrepreneurship, serving as an Associate Professor and Chair of the Technology Management Department, as well as holding the position of Graduate Programs Director, at the CEU Business School of Central European University. He has held a variety of senior and middle management appointments in leading telecom sector companies such as RHK, Lucent Technologies, Nortel Networks and British Telecom, serving in a number of countries worldwide. Dr. Antonopoulos also Co-Founded and sits on the Board of Directors of Marathon Invest, an investment fund focusing in the CEE markets and of Viva Credit, an online financial services firm. He has had a total of 6 start-up engagements since 2001. 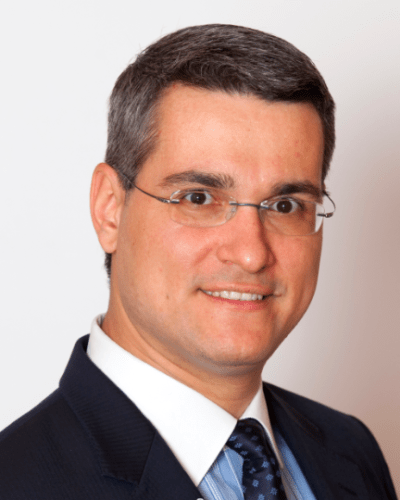 Having worked and/or lived in Argentina, Brazil, Germany, Greece, Hungary, the Philippines, Romania, Singapore, Spain, the UK and the US, and speaking 6 languages, Dr. Antonopoulos brings substantial international and multi-cultural experience to MsM Romania.